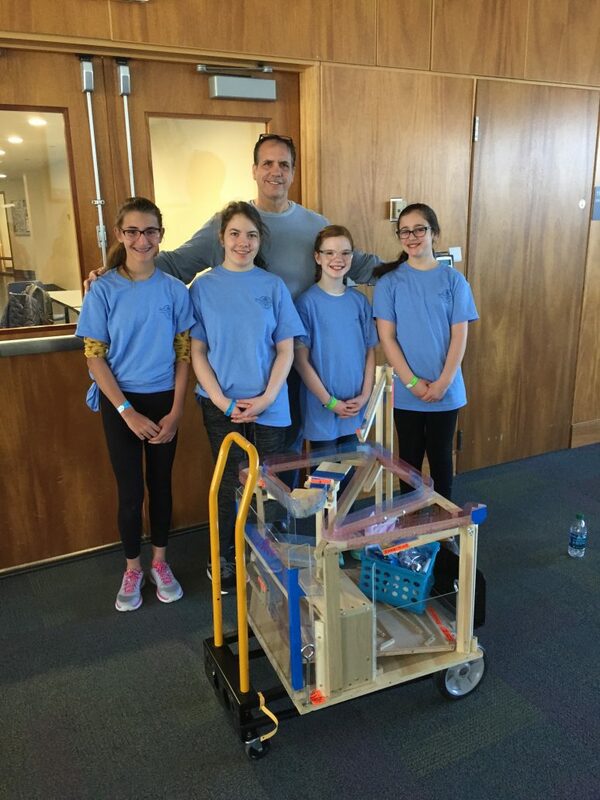 Our Lady of Mercy School’s Science Olympiad Team, made up of 16 6th, 7th, and 8th graders, placed fourth in the state at the RI State Science Olympiad Competition at Rhode Island College on Saturday, April 21. With medals in three events, including two golds, OLM finished in the top 10 or higher in 17 of the 22 events, with 25 teams competing. Points are awarded based on the teams’ finish in each event. The 2018 OLM Team members included 8th graders Aidan Skidds (Exeter), Bryan Hong (Warwick) , Colin Butera (East Greenwich), Jake Rademacher (Warwick), Patrick Torres (North Kingstown), Santino Izzi (North Kingstown), Ryan Youngs (East Greenwich), Jackson Breiding (Warwick) and Grant Giguere 7th graders Deirdre Stockdill (Warwick), Jack Ciunci (East Greenwich), Jayci Izzi (North Kingstown), Luke Simms (East Greeenwich), Maddie Laviolette (North Kingstown),and Sophie Brunner (Warwick) and 6th Graders Christian Butera (East Greenwich), Ellla Reikhrud (Warwick), and Siena Vitucci (Warwick). 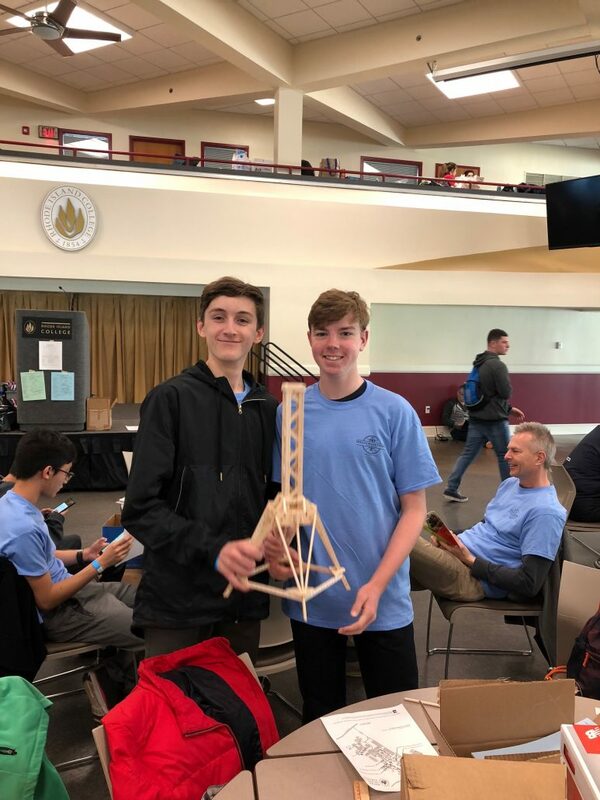 In 13 years of competing with a full team in the state Science Olympiad, OLM has earned a reputation as one of the top teams in the state. They have won six state titles, including four consecutive from 2006-2009, and back to back titles in 2012 and 2013. The team has also placed second four times, in 2004, 2005, 2010 and 2016.